Some of our readers will remember when Cannabis was called grass, you could buy it by the lid, and Thai stick and Panamanian Red were the stuff of connoisseurs. The intervening years have seen a revolution in potency and overall quality as well as consumer awareness of the product itself. The first legitimate forays into contemporary marketing of marijuana have been under the medical model, so it should be no surprise that a plethora of information about the active ingredients in marijuana is available to consumers from medical marijuana dispensaries and seed companies alike. So what do all those difficult to pronounce components do for you? A plant's cannabinoid profile refers to the specific mixture of the quantity and type of cannabinoids produced by a given plant. Think of it as a window on a strain’s effect and potency. Over 475 compounds have been identified within the Cannabis sativa plant; of these 66 are classified as ‘cannabinoids’ unique to the Cannabis plant. RaphaelMechoulam (discussed in a previous article) dedicated much of his career to understanding the natural product chemistry of the marijuana plant. The most famous cannabinoid, delta-9-tetrahydrocannabinol (Δ9-THC), is the substance responsible for the majority of the psychoactive effects of marijuana. Other cannabinoids, including cannabidiol and cannabinol, alter the subjective experience of the ‘high’ by interacting with the way THC impacts the brain. Much of the cannabis breeding of the past 30 years has focused on increasing the potency (ie. – the % THC) in strains, with considerations such as yield, pest resistance and other qualities getting some secondary attention. Furthermore, for years many in the breeding community held a belief that strains high in CBD had more of a ‘downer’ high and were seen as undesirable. Modern medical research has shown cannabidiol (CBD) to have tremendous potential as an anti-inflammatory compound with pain mitigating and possible anti-cancer effects. Q. Why would anybody want a low/no THC strain of marijuana? A. Medical marijuana users may desire a strain high in medically important anti-inflammatory CBD compounds without the psychoactive effects of a high THC strain. The advent of the medical marijuana movement has seen the development of some high CBD strains, but it remains difficult for consumers to obtain high CBD/low THC strains even in medical contexts. One example of such a strain is The Remedy, available to qualified medical marijuana patients from the Dockside Coop in Seattle, WA. Commercial interests have invested time in such ventures; GW Pharmaceuticals, the company behind Sativex, has done extensive research on cannabis breeding. Their website is clear they rely on traditional plant breeding techniques and do not use GMO technology. According to GW Pharma, four genetic loci control the cannibinoid profile of cannabis. They have a nifty explanation of their breeding strategy on their website here. They have numerous patents with specific genetic profiles – including high THC strains and 0 % THC strains. 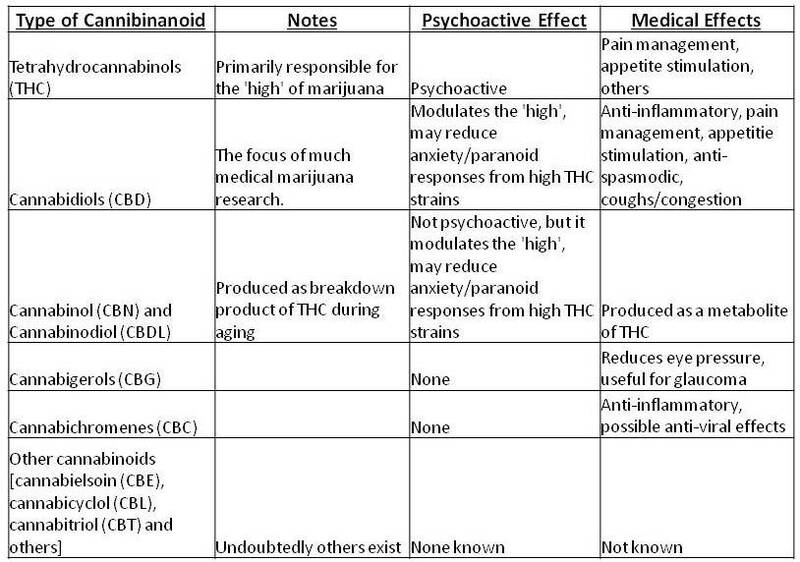 There are a variety of techniques available for obtaining a cannabinoid profile, including specialized labs offering testing services such as Analytical 360. Other firms offer extremely portable thin-layer chromatography techniques, such as the one produced by Cannatest. Cannatest is a Seattle area business that offers home testing kits as well as testing services. The power to bring analytical testing in-house to cannabis breeding operations is critical at a time when shipping samples via USPS is in violation of federal law. The people at Cannatest also offer a mobile testing service in the greater Seattle area. The advent of legalization will see technologies for analytical testing of marijuana becoming commonplace – possibly even required – for the benefit of cannabis consumers. Opportunities for research abound and cannabis with a wide range of cannabinoid profiles (especially the hard to find high CBN/low THC strains) will soon be readily available to the public.